There are just some things that you decide to get and there isn’t really a need or a reason. You just have to. You see it and you just know. 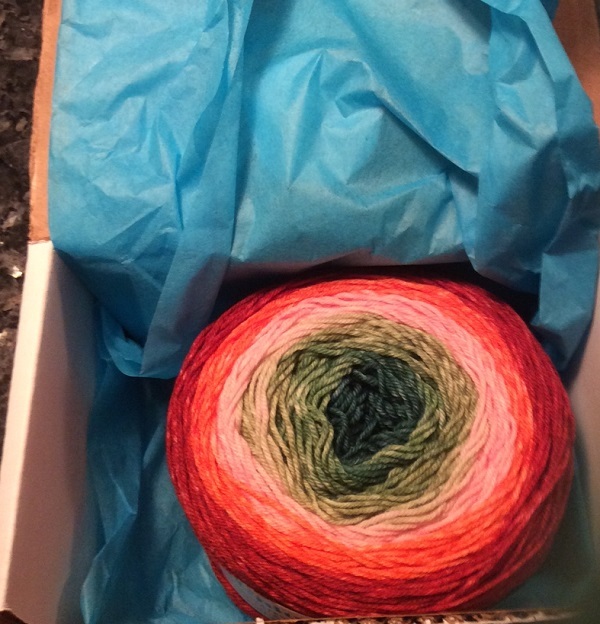 Knitcircus is known for their gradient yarns and they are just beautiful. This one is called “Anne with an E” and once I saw the name I knew I had to get it. Simply because of the name. I love Anne of Green Gables and this yarn is named after that series. I never did read the books but watched it on tv and I just loved the story. Seeing this yarn and it’s name brought back nice memories and that is the only reason I had to have it. But that is a perfectly good reason, don’t you agree? Now to decide what to make with it. Posted in Uncategorized and tagged anne of green gables, anne with an e, knitcircus on October 31, 2016 by lizytish. I am knitting the Wheaten scarf from your class in Anne yarn! It’s beautiful, can’t wait to see what you make with it!